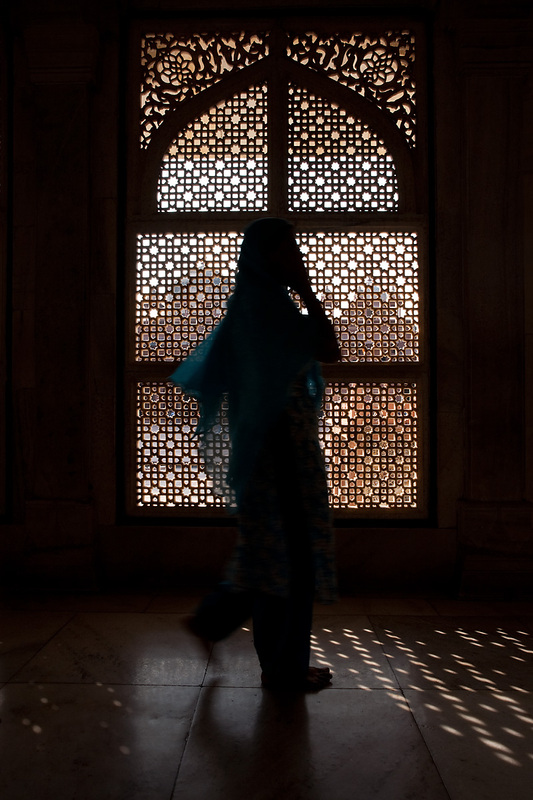 A Muslim woman walks in front of an intricately carved lattice window. Inside the tomb of Shaikh Salim Chishti in the courtyard of Jama Masjid. 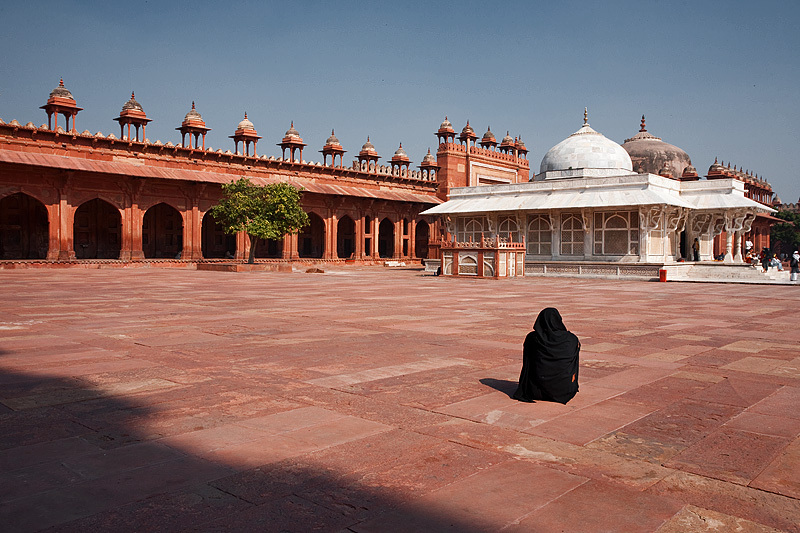 A Muslim woman sits facing the tomb of Shaikh Salim Chishti in the courtyard of Jama Masjid. On one of the inside lattice windows, childless women tie red threads in the hope of being granted children. Speaking of children, it's Christmas eve and we're on the cusp of celebrating another anniversary of the birth of baby Jesus. Either that or you're anxiously awaiting the gifts Santa brought this year hoping for that official Red Ryder carbine-action two-hundred-shot range model air rifle. As inappropriate as this Muslim themed photo is for Christmas eve, I wanted to take a moment and wish you all a happy holidays.